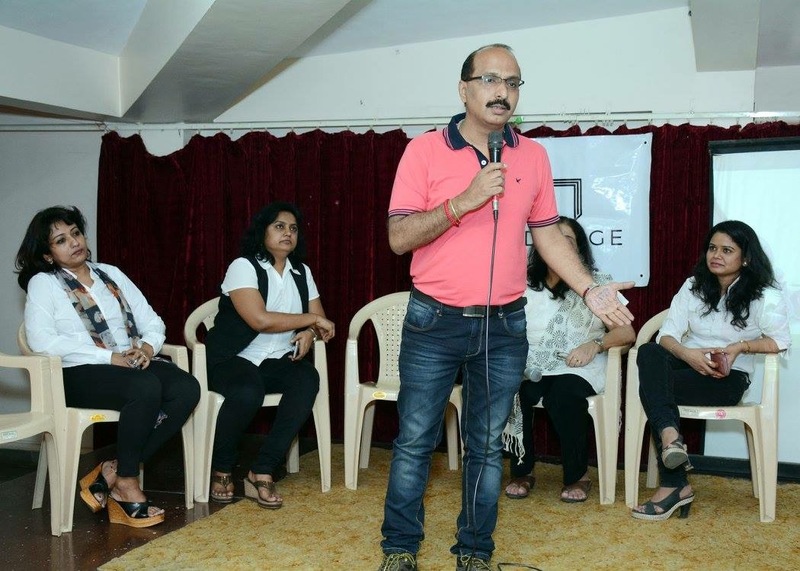 Recognising the need for awareness of basic human rights and laws, Pride Age team came up with the concept to educate the general public with their basic rights and lesser known indian laws which are vital to know in our day to day lives. The regular indian genteel public doesn’t really concern itself with such, thinking that this happens to other people and they will never need these laws. But that’s the biggest mistake. Because this is life and God forbid, Anything can happen Anytime, Anywhere, to Anyone and at that time if we are not aware of our rights in such situations, we can be taken for a ride by crooks or crooked officials. Forewarned is Forearmed ! Everyday we read of such incidences in the newspapers thinking these people should have known better than this but in reality we are those people. Keeping this in mind team Pride Age decided to hold a workshop in ‘Basic Law Awareness’ to inform and educate the people. 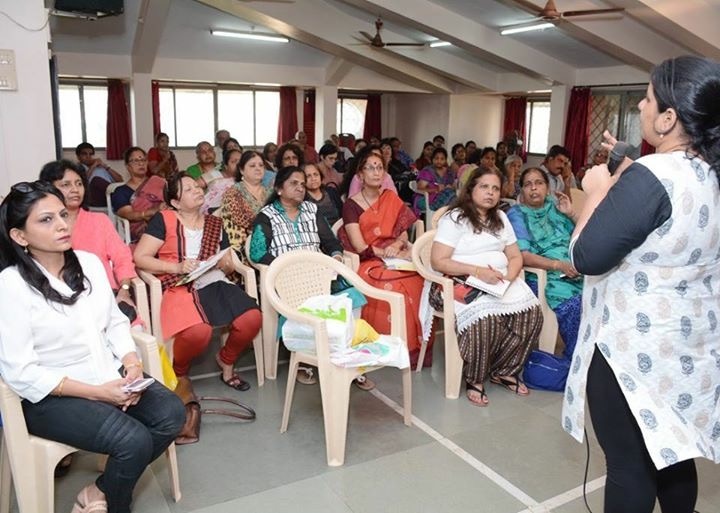 This workshop was preceded by an online quiz campaign by team Pride Age with variety of such questions to challenge the general educated public’s knowledge of the basic laws of the land. The responses were overwhelming as well as surprising for us, as well as the respondents. Considering how many misapprehensions we all are under and considering so many people are not aware of basic rights and laws, like that the police are supposed to be on duty 24 hours whether in uniform or not and that women can not be arrested or detained in police station between 6pm to 6am, Ancestral property can not be willed away at will and also that elderly parents have rights to maintenance from their adult earning kids. Really eye opening for some respondents who decided to attend seeing the extent of prevailing misinformation. 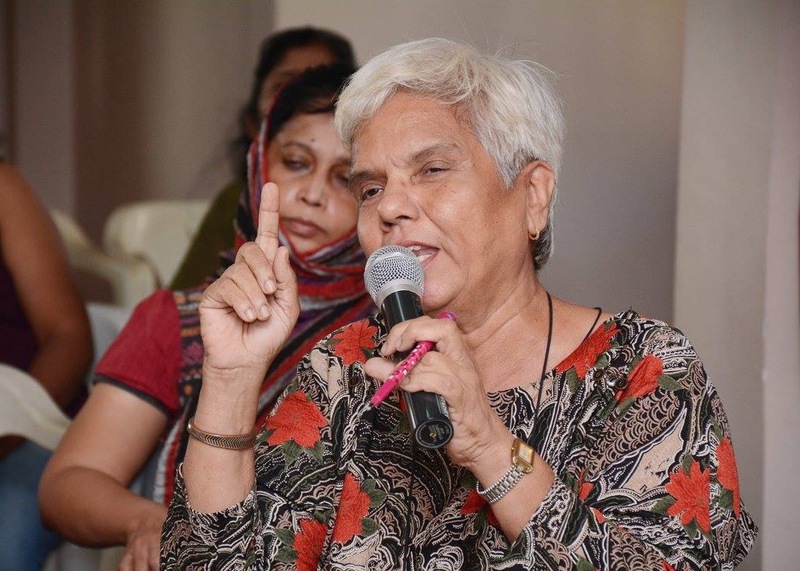 Renowned Advocate Aileen Marques was the guest speaker for the day which started at 3pm in cool weather with hot tea and coffee. 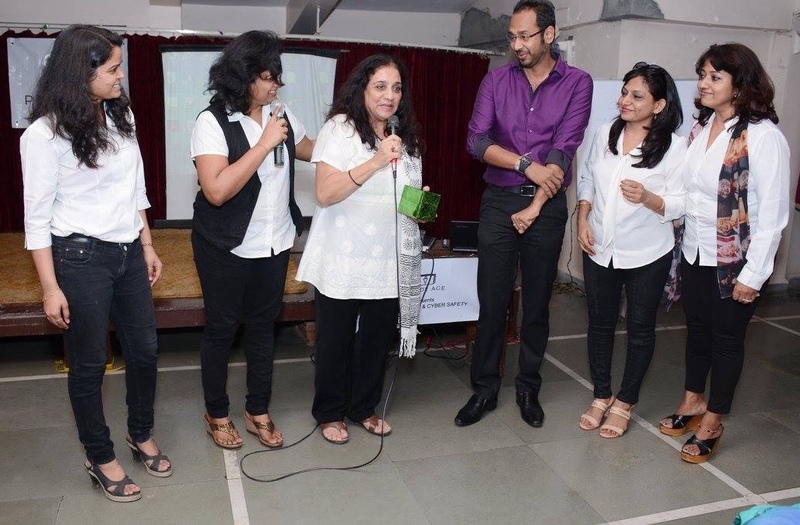 With the Pride Age team, comprising yours truly, chirpy Arpita, graceful Hiraji and glam Rashmi, presenting an impromptu onstage talk and skit on requirement of such awareness and where and how to get help. Followed by Sailesh Mishra founder Silver Innings, explaining the concept and plans for such exercises in future. 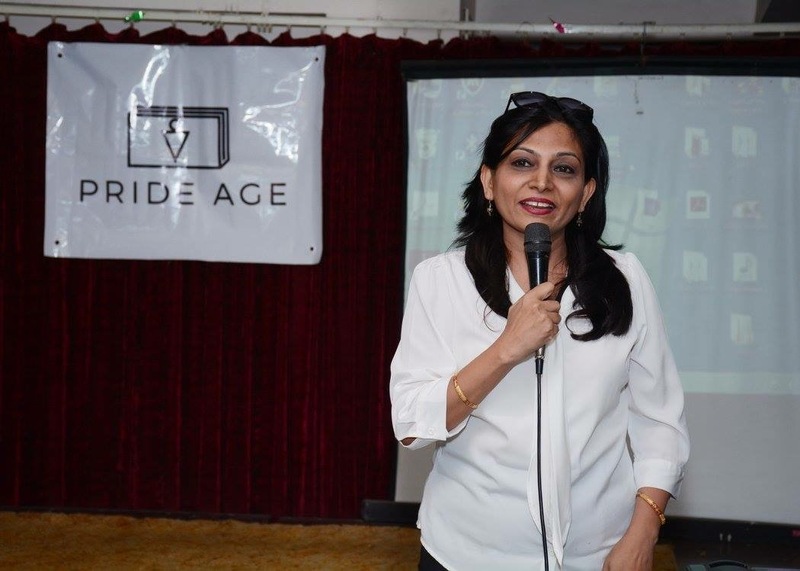 Founder Pride Age Ramaa Subramanian then took the stage to kick off the session with introduction to Pride Age, a fledging company which has in short span grown by leaps and bounds. This being it’s third such consecutive successful workshop on topical issues in three consecutive months. 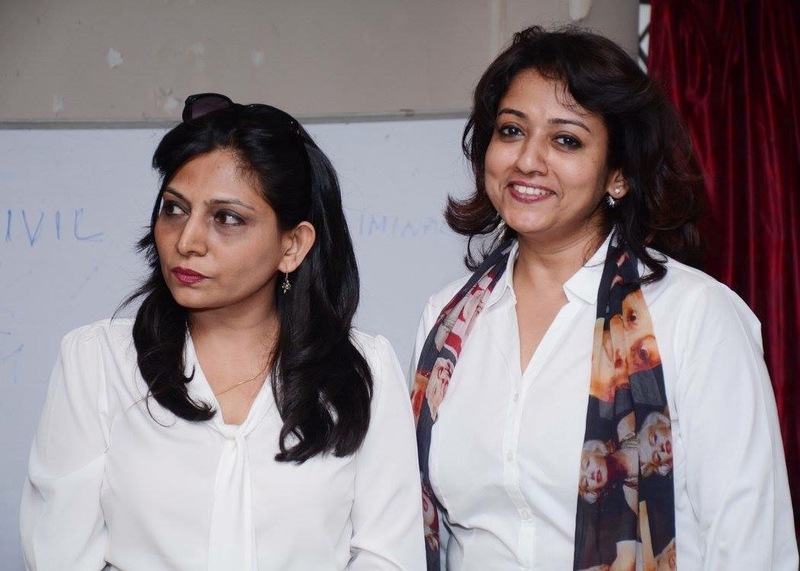 The core team came up with the concept and mission statement of life skills education, awareness and training with unique blend of entertainment in bite size segments. So as to make it easier and more convenient to imbibe by anyone, irrespective of class, creed, age, hence Pride Age. 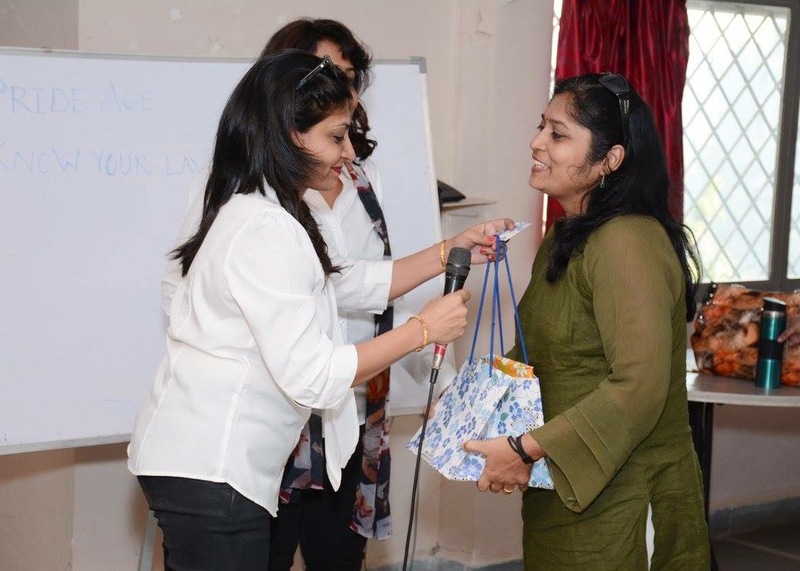 Advocate Aileen then took the centre stage to present her power packed session. And what a session it was! The jam packed hall was held mesmerised by her knowledge and ability to convey it in an apt manner so easily understandable by everyone. Broadly topics covered were Protection of Women from Domestic Violence Act 2005. Any woman in a domestic relationship can complain to seek reliefs under: Protection Orders, Residence Orders, Monetary relief, Custody Order, Compensation Order, Interim/ Ex parte Orders. Criminal Law: Depending on the nature and gravity of an offence they can be classified under any of the following heads: Bailable and non-bailable offence, Cognizable and non-cognizable offence, Compoundable and non Compoundable offence. Rights of arrested persons: Persons arrested must be informed of the full particulars of the offence committed and the grounds for arrest. All persons arrested / detained must be served a custody memo. Persons arrested cannot be detained for more than 24 hours in Police Custody. An Accused person is entitled to a copy, free of cost, of the Police Final Report, First Information Report (FIR), statements of all persons whom prosecution proposes to examine as its witnesses confessions and statements if any recorded and any other documents. The arrested person has a right to consult and be defended by a legal practitioner of his choice. NC and FIR was discussed. Bailable and non bailable offences were discussed. The Indian Penal code and the Indian Evidence Act was briefly discussed. The Difference between the Civil Procedure Code and the Criminal Procedure Code and the various court structures and procedures were elaborated. Personal Laws dealing with marriage, divorce, succession and guardianship were informed. Human Rights are enshrined in the UDHR – Universal Declaration of Human Right. The articles of the UDHR were elaborated discussed. Then another very important and recently arising with rise in importance of technology in our lives, Cyber crimes and laws were discussed. In Indian law, cyber crime has to be voluntary and willful act or omission that adversely affects a person or property. Most cyber criminals have a counter part in the real world. If loss of property or persons is caused the criminal is punishable under the IPC also. 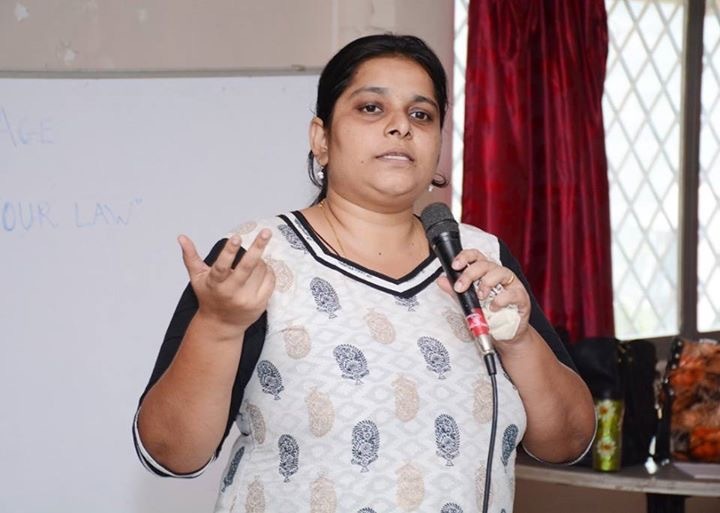 Since the law enforcement agencies find it is easier to handle it under the IPC, IT Act cases are not getting reported and when reported are not necessarily dealt with under the IT Act. The Information Technology (IT) Act, 2000, specifies the acts which have been made punishable. The real issue is how to prevent cyber crime. For this, there is need to raise the probability of apprehension and conviction. India has a law on evidence that considers admissibility, authenticity, accuracy, and completeness to convince the judiciary. The challenge in cyber crime cases includes getting evidence that will stand scrutiny in a foreign court. This was followed by Q&A session wherein the attendees questions were asked by the dynamic presenter and answered on the spot by Aileen. An eclectic mix of questions were asked and answered like relating to cooperative flat ownership rights and how to make a valid will etc. 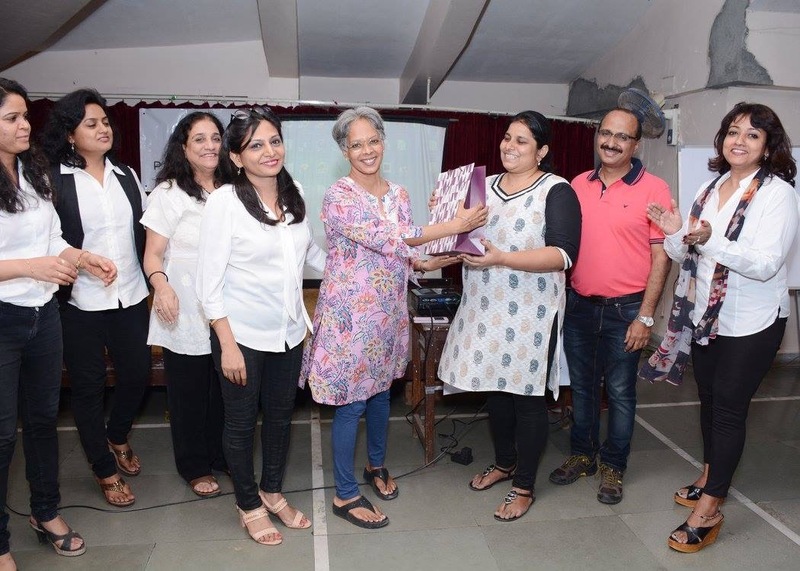 The winner of the online ‘Know your Law’ quiz was honoured and awarded by Ramaa and yours truly followed by vote of thanks and felicitation of our guest speaker Aileen Marques and mentor Darrpan Mehta, head honcho Sugar Medias. 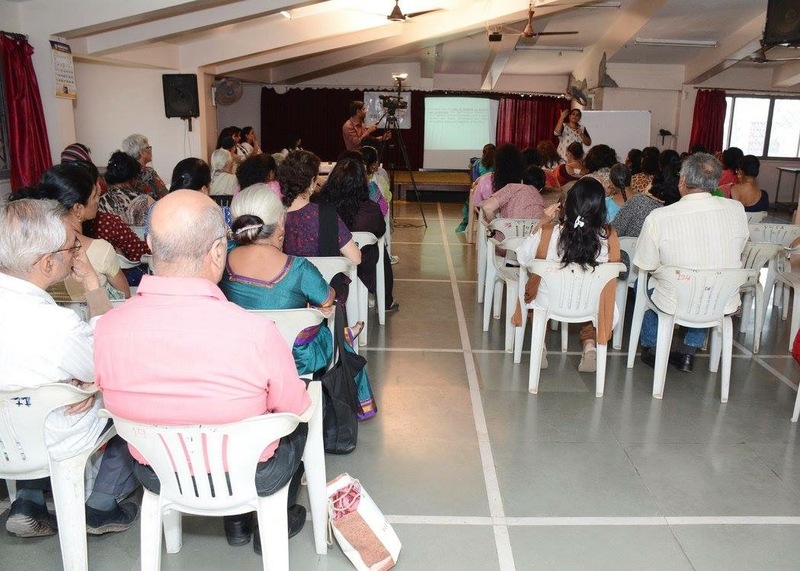 The session was a resounding success proven by the hearty unending applause by audience at the packed hall of YWCA. 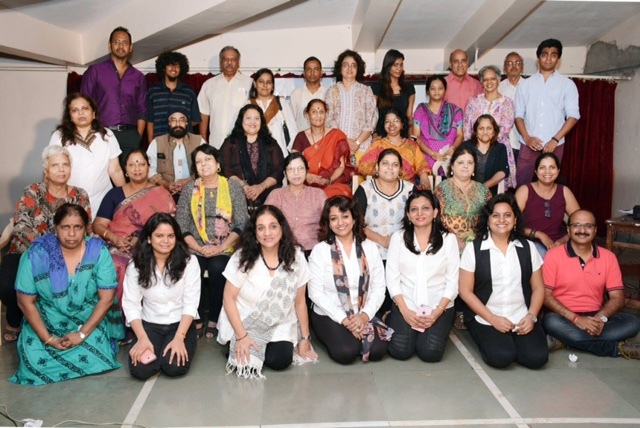 Everyone intermingled while having scrumptious after session snacks and tea. All in all another successful endeavour by Pride Age. Three cheers to them !!! Posted on February 9, 2016 February 23, 2017 by sushme2015Posted in Events, Legal Awareness, Pride AgeTagged Legal Awareness.